You are cordially invited to the party of the season where you’ll meet Constance and friends in action. 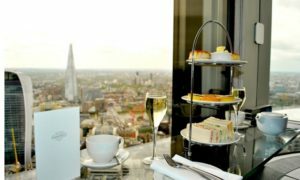 Constance Jeffries is excited when she gets the chance to meet up with virtual friends at a get-together in a London hotel. She’s been tweeting and messaging her lovely friends for years and feels they must be just as excited to finally meet her in person too. Or so she hopes. The Big Event is first part in a short story series about the importance of ‘real’ friendships and how it’s the little things that matter the most. A Gorgeous Venue, A Room Full of Friends, What Could Possibly Go Wrong? You can purchase it from Amazon right now for just 99p. This short story took me around 30 minutes or so to read and I really liked it. Oh, and I love the cover too. Constance Jeffries has arrived at the publishing party of the year. She’s hoping to meet up with friends that she only knows online, through social media, and she’s really looking forward to it. However, you know what it’s like – often people portray themselves quite differently on the internet than they do in real life and Constance finds this is the case at the party. Just as Constance, and I, were losing hope, something happens that restores her faith in her online friendships, thank goodness! The author has got it just right in this story, portraying the apparent necessity for everybody to be constantly checking social media or taking selfies. There’s a mixture of likeable and not quite so likeable characters and I’m looking forward to meeting up with them all in the next instalment of the Friendships Online Short Story Series. Overall it’s a lovely, quick and insightful read. 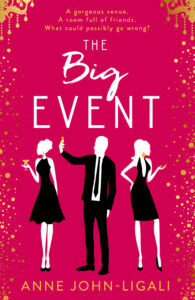 Win Sparkly Afternoon Tea for Two at Vertigo 42 in central London and one e-copy of The Big Event. To enter and for full terms and conditions, please follow the link for everything you need to know. 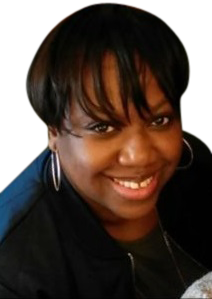 Anne John-Ligali is a writer and the founder of Books and Authors UK, a popular website featuring author interviews and book reviews. She loves all things books: reading, writing, going to book events, and meeting other book lovers. She has written a series of short stories and is currently writing her first novel. When Anne is not writing, she is likely to be at soft play with her kids, taking long evening walks in Hyde Park, making green smoothies, window shopping, or having a pampering session at her local beauty salon (whenever she gets the chance). She can also be found watching box sets (albeit with a bit of shame at still having to catch up on Scandal, Grey’s, and Downton). Originally from Peterborough, Anne now lives in London. After moving to London, she studied graphic design at the University of Arts and has held a number IT administration jobs in the city. Anne continues writing and aspires to write more women’s fiction books, a non-fiction book and several children’s books.